A clean parking area always gives a good impression to anyone parking his vehicle. So, cleaning your parking area will enable you to realise the necessary maintenance. This is when the parking lot has potholes. However, you may think it is not essential for regular clean up. Nonetheless, this is important. Appropriate cleaning avoids erosion of the parking area. How should you clean your parking area? I know you might not know the various ways to clean your parking area. Hence, in this article, I am going to tell you about the different methods of cleaning your parking area. Before telling you how to clean your parking area, I think you should know why you should keep your parking area clean. I know you might be having a parking area business or you own a parking area. Then this is for you. If your parking area is untidy or not presentable, I don’t think any customer will be willing to park his or her car. Then what should you do to attract more customers to your parking area? A clean parking area is a plus, this will gain you more customers due to it being attractive. If you own a parking area in your homestead, then if the exterior of the parking area is clean then it will prevent pests and rodents from your parking area. No one like littering on a clean place, hence, if your parking area is clean no one can scatter. Cleaning your parking area with pressure washing is considered useful. It helps in support of your parking area. The best high-pressure cleaning for parking areas is usually recommended because it cleans the surface adequately. 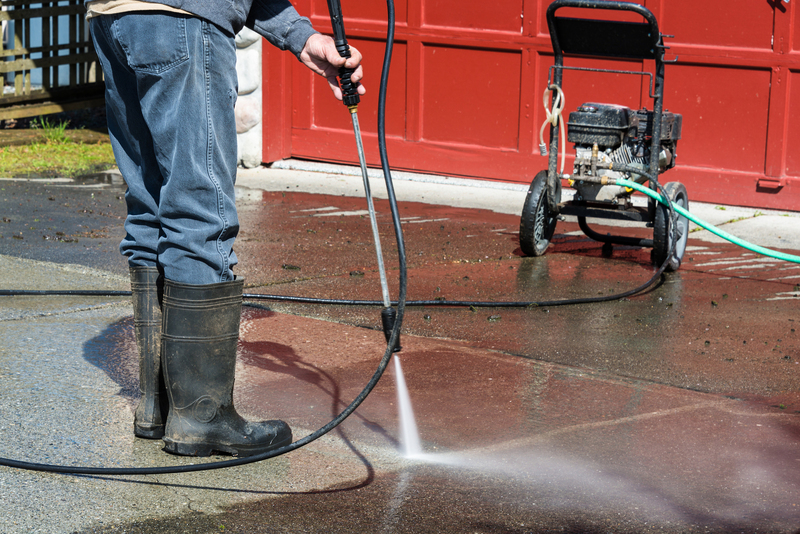 In ordinary cases, you are advised to use a pressure washer that produces as a minimum 3000 pounds per square inch. Before washing your parking area with a pressure washer, it is necessary for you to consider the type of stain. If there are oil patches or hard to remove stains, then pressure washing is necessary. Before using a pressure washer, I think you should know how it operates. Read the manual in the pressure washer for safety precautions. Besides, if you don’t have a pressure washer and you want to purchase one then find the best. Dispense soda on the stain then leaves it to saturate overnight. By doing this, you will have cleaned a grease spot on your concrete parking area. Asphalt parking area is considered hard to clean, hence, hiring an expert parking area cleaner might be expensive. So, how can you clean your parking area effectively? Furthermore, how can you wash your asphalt parking area alone? Use Vinegar and water. If there is a stain on your parking area, the most suitable method is by the use of vinegar and water. This mixture will help you remove the stain accordingly. Also, you need a stiff bristle brush to remove the stain. Kitty Litter. For easy cleaning, you can use kitty litter because of it highly absorbent. This will absorb the oil spill and make it easy for you to clean your parking area. Cola. It is not only used to clean concrete parking areas but also asphalt parking areas. Like in concrete it removes stains efficiently. Other ways to clean your asphalt parking area is by use of soap and water and baking soda. Stains are usually stressful to remove from any surface. So, how can you remove the stain efficiently? If your parking is asphalt or concrete by following these simple tips, you may be able to clean your parking area like a real professional. Hence, there is no need for you to hire a professional parking area cleaner. I 100% assure you will not regret if you follow this parking area cleaning tips.